Over the past couple of years American Express has started opening lounges in the US, called Centurion Lounges. The lounge portfolio includes locations in Dallas, Houston, Philadelphia, Miami, New York, and San Francisco. Those with The Platinum Card® from American Express can access the lounge for free along with two guests. It looks like American Express is expanding the lounge concept even further, with the introduction of their first Centurion Studio, which will be debuting in Seattle in 2015. NEW YORK, November 17, 2014 – American Express is expanding its presence in major domestic airports, announcing today it will open The Centurion Studio at Seattle-Tacoma International Airport in 2015. Like The Centurion Lounges, The Centurion Studio will be a retreat for Card Members but in a smaller space, featuring some of the amenities Card Members say are most essential: comfortable seating, charging stations, fast and free WiFi, and complimentary healthy snacks and beverages. Access to The Centurion Studio is the latest feature in a suite of travel benefits for Platinum Card Members; entry to the space will be complimentary for Platinum Card and Centurion® Members, and their immediate family or one travel companion. The Centurion Studio is an extension to The Centurion Lounge network, uniquely designed airport lounges aimed to enhance the travel journey for Card Members. The Centurion Lounge locations include Las Vegas McCarran International Airport, Dallas/Fort Worth International Airport, New York’s LaGuardia Airport and San Francisco International Airport. A Lounge will open in 2015 at Miami International Airport. I think the key takeaway in terms of the concept is that it’s a smaller space, featuring “comfortable seating, charging stations, fast and free WiFi, and complimentary healthy snacks and beverages.” So I guess the major difference is that it won’t offer a full food spread like the Centurion Lounges. I’m really happy to see American Express expand the concept. Presumably due to space constraints and demand they can’t build a mega-Centurion Lounge at every major airport. So at some airports this limited service concept makes more sense. Here’s what I found especially interesting about Seattle as a location, though. 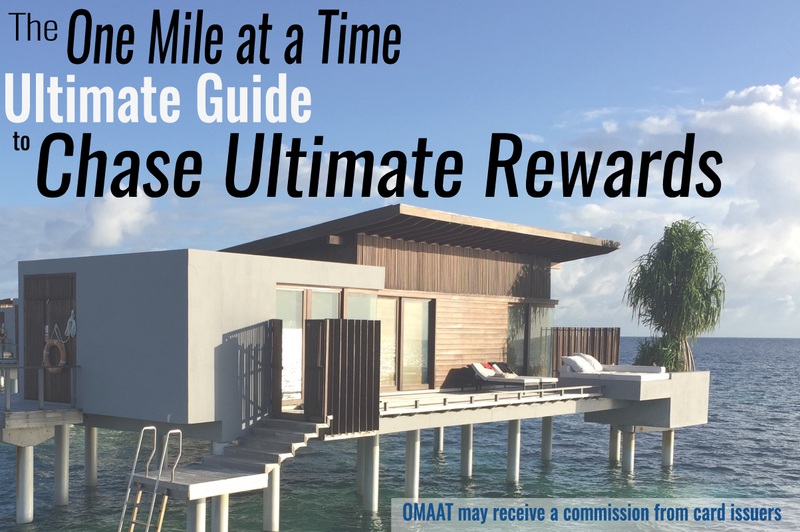 The Platinum Card® from American Express comes with a Priority Pass Select membership. This gets you access to Alaska Board Rooms, and their flagship one is in Seattle. So as a Platinum cardmember you’re actually already well taken care of in Seattle. I’m not sure if American Express is paying Priority Pass on a per visit basis when cardmembers visit or what, but presumably they think it makes more sense for them to operate their own lounges. I can’t wait to see this lounge at my former home airport! What do you think of the concept of Centurion Studios? Why Don’t Airlines Lower Fuel Surcharges? Thanks Emirates For Leaving My Dad Speechless (Again)! I hope for one at IAH. It means no crappy united club for me. plus SEA already has free wifi….. I think the main draw (and credit) they get is they are NOT a US domestic airline lounge, hence they’ll always win in comparison with the average US domestic airline lounge (which, let’s face it, is not difficult to do). What I’d really love to see domestically are more lounges like the Virgin clubhouses or the Etihad lounge at IAD. what is with Amex, the largest airport on the west coast and they dont think its worth while to put one in, LAX. @ choi — The problem is the logistics. LAX has more than a handful of terminals that aren’t connected airside, and even if you were to pick just one airside, lounge real estate is lacking. So I’m sure it’s not that they don’t want to, but rather that no practical opportunity has arisen. I get they won’t include liquor other than maybe bottles of beer or single serve wines – if that. As someone who is based in Seattle, I’m happy that AmEx is building a “lounge” here, but disappointed that it’s a scaled down “studio”. With Delta’s planned expansions, Seattle is becoming more of an international gateway more than ever, so why wait a few hours at an international lounge, and not have good food before the flight? I wish it were a full-scale lounge, but even so, it’ll be an improvement over the existing situation for Amex cardholders, which is access to the AS Board Room via Priority Pass. 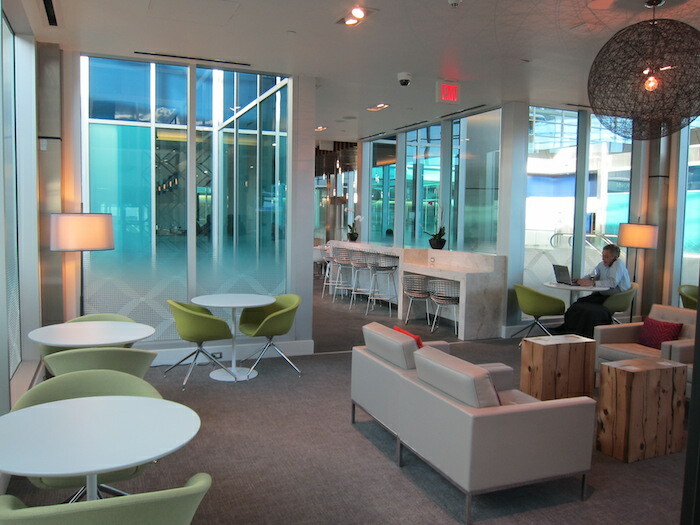 PP doesn’t include a free guest, whereas Centurion Lounge does—two guests or one’s family. Plus, even as a “studio”, I’m guessing the food will be better. Anything that gets people out of the Board room is good for me. Will they also install a pancake machine? Any idea where this lounge will be located at SEA? Hope it is post security but as close to the central atrium as possible. Then it can serve all gate areas. Interestingly, not only does the Priority Pass (which is part of Amex Platinum) get you the AS BR, but the Amex Plat gets access to the DL SkyClub if you are flying DL. However, Amex wants to appeal to UA & AA flyers and get their branding out there, so it makes sense. Or maybe they are going into the former DL Crown Room on the A concourse, and can serve DL’s pax there. Clearly as DL expands in SEA they are going to be using more of the A concourse. I’d love to see these at SFO T2, SJC, JFK T8, PIT, basically everywhere. The LGA facility has been a godsend for me as I’m now flying there every six weeks, often on a day trip with minimal time to have lunch. Being able to have some kind of extended snack or small meal is fantastic. DFW has been a pleasant surprise too when I had a couple of 3-hour layovers within a two-week stretch. I’m really hoping for PHX T4, but I’m not holding my breath. LAX/BOS are unlikely due to the spread out terminals. Smaller airports with at least 40 connected gates would be places such as BNA (would have been feasible before they remodeled the security area), BWI and DEN. But the ideal place would be in the G rotunda (2nd floor) at ORD. There used to be a conference center there (run by the Carson Pirie Scott department store people) and there’s currently a USO and some sort of underutilized space. It’s convenient to both Terminals 2 and 3, so AA, DL, B6, some United Express, F9, NK, AS and VX. @ JD — Nope, not sure, unfortunately. The airport which most obviously needs one is DCA! No more US/AA access + tons of HVF + lots of plat cardholders in DC + space to open one now that US/AA are consolidating. The AS Board Room in Seattle ranges from busy to slammed. It’s got nice amenities but it’s rarely peaceful or calm. While a Priority Pass may have you “covered” in Seattle, it’s not a great solution on its own. I second Carl — Amex also gives you access to Delta’s lounge so Amex cardholders were already pretty well-covered in Seattle. Lack of real food notwithstanding, I found Delta’s SkyClub in SEA pretty nice. Not as nice as Amex lounge in DFW but still very comfortable. P.S. +1 vote for IAH! Sitting in the LGA lounge now at the bar. See the veuve in the cooler. Figured I’d have a glass and catch up on my reading on Lucky’s adventures. “Sorry Sir, that’s reserved for black card holders.” Well, excuse me! When they first opened the lounges, they were only for Black Card holders, and I think Platinum card holders got 1 or 2 invitations. Just walked past the new Centurion Studio today. It will be opening on B, just past McDonald’s (vicinity of B3-B5), which is actually great for DL flyers since they occupy the entirety of B, which is a train ride from S, where the DL Sky Club is. Relative to S and the current AS Boadroom (main term, between C & D) this fills in nicely. UA’s club is now on A, so they’re covered. Not sure what works best for AA/US folks. Priority Pass now gets you into The Club at SEA across from A11. This is the former Cascade Club. It doesnt appear to be open as of today. Spent some time in the Board Room typical American fare , impersonal service and mediocre selection of snacks. Maybe some of these lounge designers should visit Singapore or Heathrow. Any further info on when the Centurion Studio will be opening in SEA? @ Andy — Unfortunately not. As soon as I have more details I’ll be sure to post.